Did you think going gluten-free meant giving up your favorite snack foods? Well not anymore! 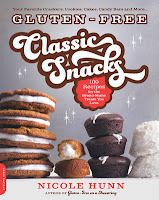 Nicole Hunn of Gluten-Free on a Shoestring helps you bring back the memories of those classic snacks, whether it's a little surprise in a lunchbox or a treat at the end of the day. Make all the most popular cookies, snack cakes, and crackers you've been missing—from Thin Mints(R) Girl Scout Cookies(R) and Hostess(R) Twinkies(R) to Keebler(R) Club(R) Crackers and Kellogg's(R) Pop-Tarts(R) Toaster Pastries—in your own kitchen with ease. 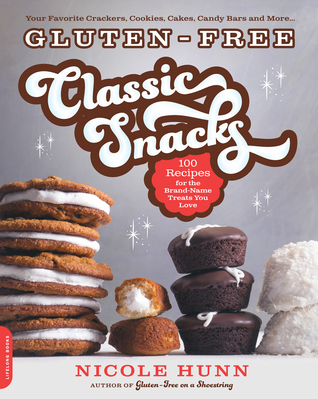 With 100 recipes for everything from cookies, brownies, snack cakes, and pies to buttery crackers, cheese crackers, pretzel rods, candy bars, and licorice—along with helpful tips and tricks for easy prep, extensive information on ingredients and substitutions, and basic recipes for homemade flour blends—Gluten-Free Classic Snacks will help you to bring back all the flavors and fun or the treats you remember.